Vehicle towing in the Western Suburbs of Melbourne. 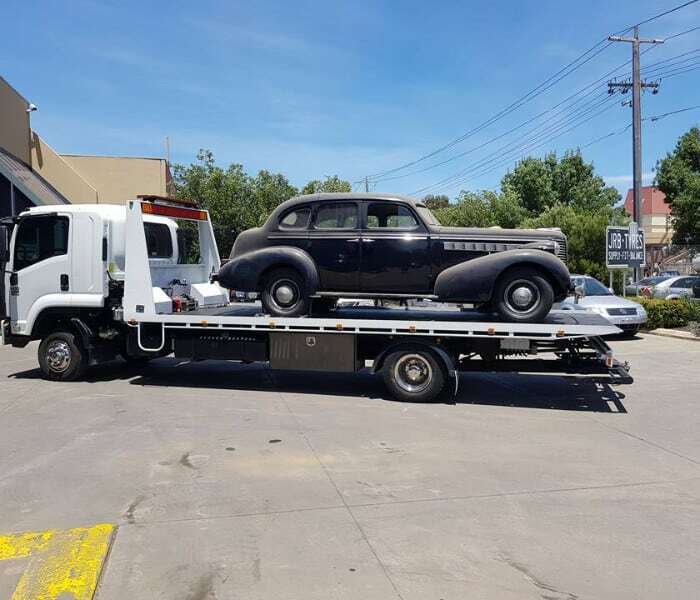 We can tow Cars, Vans, 4WDs, Trucks and Motorcycles of all makes and models efficiently. Whether you face a car breakdown on the freeway, left your headlights on and have a dead battery, or or just need a tow truck to get rid of that rust bucket sitting in your driveway. Hello Towing can help you out. We transport and relocate passenger cars, commercial vehicles, motorcycles, caravans, machinery, Trucks and boats. We have staff who all have tickets to operate many different types of machinery and equipment. It is important for us to have Tow truck drivers who are qualified or proficient in operating equipment. Without experience and understanding it could not only be a costly mistake but also dangerous for other motorists. When transporting your assets safety comes first. We're committed to helping you at any time and place; our 24/7 operations ensure that you always get the road side assistance you require no matter what time and day it is. We know that accidents can happen at any time and anywhere. Whether your vehicle has broken down or simply require our towing service we can help. Being available around the clock every day of the year is our aim. We're here for you when your car breaks down. Whenever you're stuck with a broken down car give us a call, one of our friendly team members will get to you wherever you are.